“In Massachusetts, Elise’s Law, which is named for the nurse who was attacked in June, is already on the fast track to set state standards for workplace protection. Legislators were working on this months before Wilson was stabbed. While 26 states have workplace safety standards for health-care facilities, there are no federal standards. Nursing groups say that state efforts have helped increase awareness. We’re catching up on the news with a Friday roundup — but first and foremost, we issue a warm welcome to Dr. Jennifer Christian, who has a new blog. 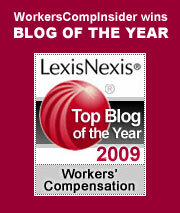 Here at Workers Comp Insider, we’re unabashed fans of Dr.C – we have no doubt that her blog will be one to follow. See her recent post: Why aren’t we saying and doing THESE THINGS about the ADA? Health care cost drivers, or, Here’s where you’re getting screwed – Joe Paduda of Managed Care Matters covers two recent studies in Health Affairs and their likely effect on workers comp costs: one indicating that orthopedic fees paid by private insurers are measurably higher in those markets with higher concentration and the second on hospital markups, the 50 hospitals with the highest charge to cost ratios. Proving Value – Roberto Ceniceros, Risk & Insurance: “Sellers of workers’ compensation products that fail to grasp shifting marketplace dynamics or help buyers with the pressure they are under will increasingly lose to competitors. 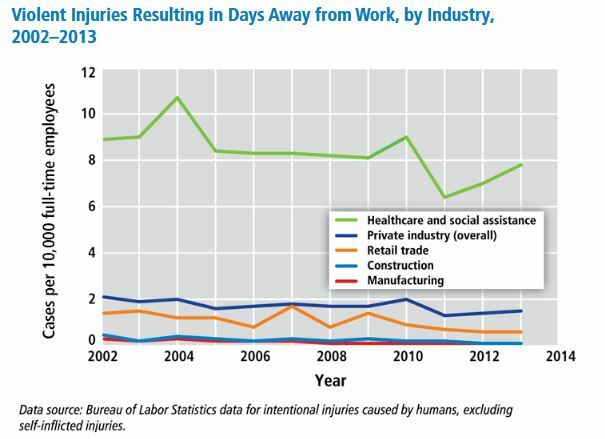 You can see evidence of these changing dynamics in the challenges workers’ comp underwriters face. Their inability to earn adequate investment income is reshaping their view of the vendors they buy from. How do nurses impact workers’ comp claim costs? 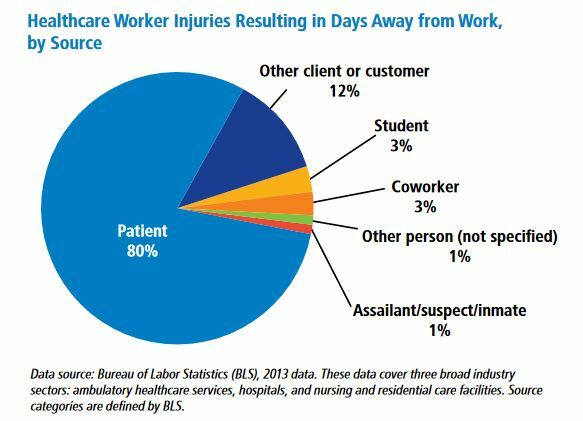 – Melissa Hillebrand, PropertyCasualty360.com: “Medical and total loss dollars are reduced by double digit percentages when nurses become involved on a workers’ compensation claim, according to a report from Liberty Mutual Insurance and its wholly owned third-party administrator, Helmsman Management Services. Overview of California Workers’ Compensation System – Conference Chronicles presents a recap of Dave Bellusci’s overview of California’s workers’ compensation system from the Workers’ Compensation Insurance Rating Bureau of California’s (WCIRB) perspective. Dave is the WCIRB Chief Actuary. Related: Dave DePaolo offers his perspective on the WCRIB goings-on on two posts: The Whole Person and The Value Image. Cognitive Therapy, Cognitive Dissonance – Michael Gavin, Evidence Based: “”One of the most frequent recommendations I see resulting from our peer-to-peer discussions on chronic pain claims is Cognitive Behavioral Therapy (CBT). CBT is a short-term, goal-oriented psychotherapy treatment that takes a hands-on, practical approach to problem-solving. Its goal is to change patterns of thinking or behavior that are behind people’s challenges and, thus, change the way they feel about and deal with those challenges. Heat Hazard – Claire Wilkinson, Terms + Conditions – offers a variety of links to the growing risk posed by excessive heat and drought in various parts of the globe and in various industries. Can We Finally Treat Food Workers Fairly? Can You Still Have Dress Codes After Abercrombie Decision? HR 101: Are You Classifying Your Independent Contractors Correctly?